2. Combined with high-density moulded polyurethane foam, polished stainless steel chassis work,and the worlds best reclining mechanism, the seat re-declines the category of light weight sport seats. 1. 91% of the product is handmade. 2. Fits either driver or passenger side. 3. Easy Installation and years of duration. 4. 25% lighter than similar models such as the Brix II. 5. Professional for racing , ensure drive safety and stability. 6. OEM service is available and acceptable upon clients' request. 7. Built-in slots for racing belt harness (racing belt harness sold separately). 8. with quick released can adjust to 180 degree. You can adjust the gradient as you like; Fully-reclining racing seat with adjustment handles on both sides of the seat. 9. Inside the Seat: High-resilience Foam and Bilateral Stitching provide comfortable experience. Strong, durable steel frame covered with comfortableInjection-molded Foam and Woven Upholstery. We do make custom brackets for any model of vehicle, please e-mail us if you need them. Question 1: what if some seats part broken, can you give me some? Answer: yes, we will give you some in your next order. We provide one year warranty. Question 2: can I put my logo? Answer: yes, we accept OEM&ODM order. And seats quantity is at least 50 pcs. Question 3: can I buy only one seat as a sample to test quality? Answer: yes, but clients need to pay high express fee which costs much more than the seat. Question 4: do I need install the seat, is it complicated? Answer: no, we have made everything okay before packed into the box. Question 5: do your seats pass FIA? Answer: yes, we have one model seat passed FIA in 2012. Question 6: can I pay by L/C? Answer: yes, but only for amount over 50,000 $. 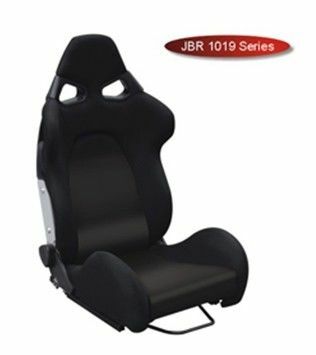 China Good Quality Sport Racing Seats Supplier. Copyright © 2015 - 2019 sport-racingseats.com. All Rights Reserved.